Ramadan is a blessed month and with all the unlimited blessings that Allah showers on us, we should be ready to embrace them with all sincerity so that when the month departs from us we should not have regrets of not having made the most of it. Most Muslims embrace the month with the purpose of praying to the maximum and getting their past sins forgiven and whilst doing so they need to have much patience for the worldly affairs and relationships. One such relationship is marriage. In Ramadan Muslim couples should ensure they are as committed to each other in the month as in the rest of the year. There are many ways for a couple to ensure that everything goes smoothly in their relationship in the month and they are patient with each other through kindness and compromise. The most important way to do so is to make it a point to pray together. In Ramadan, there is a far greater chance of togetherness than the whole year round. 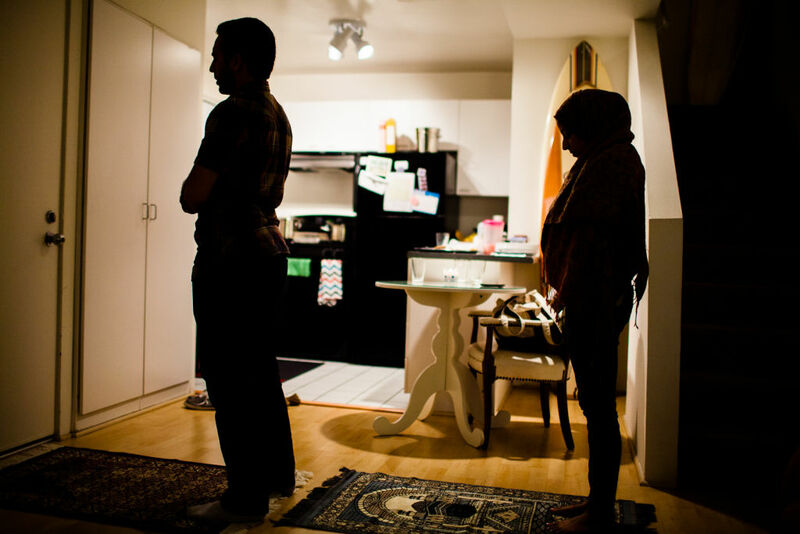 Couples sit together for suhoor and iftar but they can also make use of the opportunity of time to pray together. This strengthens their relationship to no bounds and they will, as a result be more patient with each other as well. When a man and his wife are fasting they should avoid topics that they know they will disagree on. They should not let an atmosphere of resentment build for that is detrimental to the entire spirit of Ramadan. Instead the atmosphere should be that of worship. If the spouse happens to argue with the other, they should respond with calmness. There is a tradition of the Holy Prophet (PBUH): “When anyone of you is observing fasting, he should neither use obscene language nor raise his voice; and if anyone reviles him or tries to quarrel with him, he should say, 'I am fasting. '” It means that the argument is automatically dissolved when the other shows calmness. That is how the couples should show patience with each other during the month. Apart from that, couples should make sure they make all the positives of the relationships matter. For example, they should forgive their spouse’s faults, apologize even if it is not their mistake and show tolerance just like they show towards their hunger and thirst during the month. Muslim couples should make it a point to do good for each other, help each other in their work, say nice things to each other and show immense love. The Holy Prophet (PBUH) said about Ramadan that "Whoever draws nearer to Allah by performing any of the acts of goodness in this month shall receive the same reward as is there for performing an obligatory deed at any other time; and whoever observes an obligatory deed in this month shall receive the reward of performing seventy obligations at any other time." Another way to increase righteousness in the relationship during the month of Ramadan is to give joint charity to the needy. There is nothing that will increase the love between husband and wife than the sharing of their wealth among those who really need it. All in all Ramadan is a great opportunity for married couples to strengthen what is theirs in terms of their relationship and the level of tolerance they have for each other. Only proper and consistent praying, recitation of the Quran, doing of righteous deeds and following the path of Allah can do that for them, bringing about calm, peace and love in the marriage.